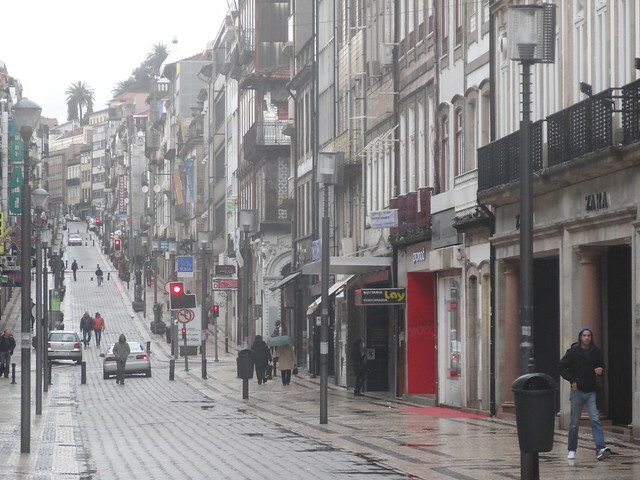 Despite the freshets of rainfall that greeted me upon arrival, I decided to spend my day in Portugal’s second-largest city on a walking tour. If you’ve followed my blog for a while you probably find it strange that I, a vagabond who happily throws himself to the winds of fortune, would be interested in joining up with a group of fellow tourists to be ushered by a blasé tour guide around the more typical sights of the city. Rest assured, I myself began to question the logic of my choice, especially given that it was taking place in a furious downpour. I was partly motivated by the fact that the tour was free, although that proved to be false since my guide claimed that it was customary to tip on these tours. Funny enough, that would be the first time since my arrival in Europe that I had to tip, since restaurants, bars, and hair salons factor it in upfront. Unjust as the rain and the not-so-gratis-tour proved to be, my guide introduced me to Porto’s foremost culinary specialty, the Francesinha, or “little French girl,” and as love is a bittersweet experience, so too are my feelings toward her. 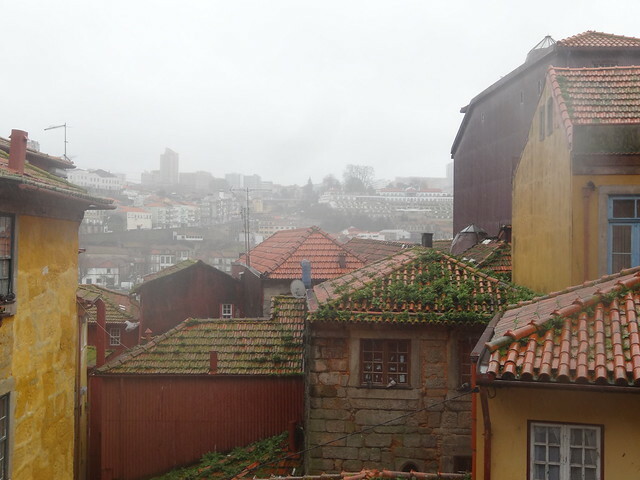 We had tramped up and down numerous hills, crossed a looming iron bridge that spanned the steep gorge carved out by the Douro river, and tiptoed around Medieval Porto’s plunging alleyways and sidestreets for a few hours, and my appetite was picking up with the same fury as the wind. 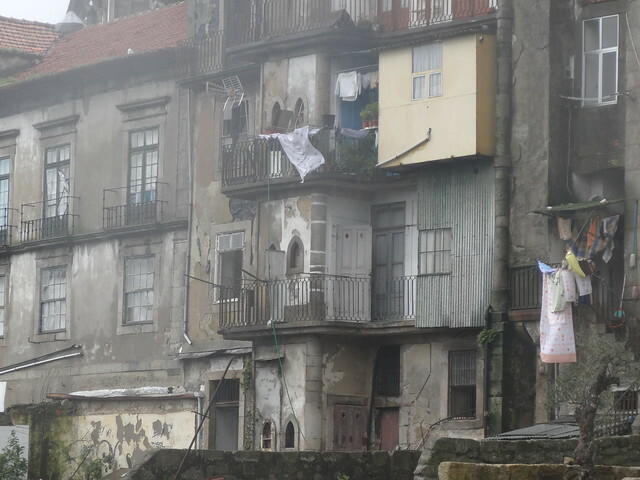 After stopping one last time to take a picture of some charmingly quotidian laundry hanging out the window of a crumbling old building near the river bank, my guide directed me down a tight alleyway to a quiet restaurant set in what used to be an old wine grotto, back when such things were still used for storing huge barrels of Port wine. The genius of the Francesinha comes not just from its devastatingly filling contents, but from the ingenious wordplay behind its name. Supposedly a Portuguese chef came back home after working in a French restaurant during the 1950s and decided that the legendary Croque Monsieur could use an upgrade. True to his Portuguese nature–they really like their meat in this country–the man concocted a beast of a Croque, and gave the sandwich its sweetly ironic moniker. Cold, hungry, and soaked to the skin, I didn’t bother with the formality of a menu, asking the waiter to bring me a bowl of vegetable soup to tide me over before the Francesinha was ready. The wildebeest of a sandwich was a worthy match to my famished stomach, and I barely managed to consume its glorious layers of ham, chorizo, steak, cheese, fried egg, and minions of sauce-covered French fries which accompanied the plate. After I had finished the last of the fries I realized that I would soon be slipping into a food coma, so I paid the bill and began staggering back up the hill toward my hostel. The restaurant was situated at the bottom of this hill, and my hostel was over the top and then back up another behind it. What seemed like a trek of many miles was probably no more than a kilometer or so, but with the Francesinha in my belly and a skyscraper’s worth of stairs behind me I wanted nothing more than to crawl into my bed and digest. 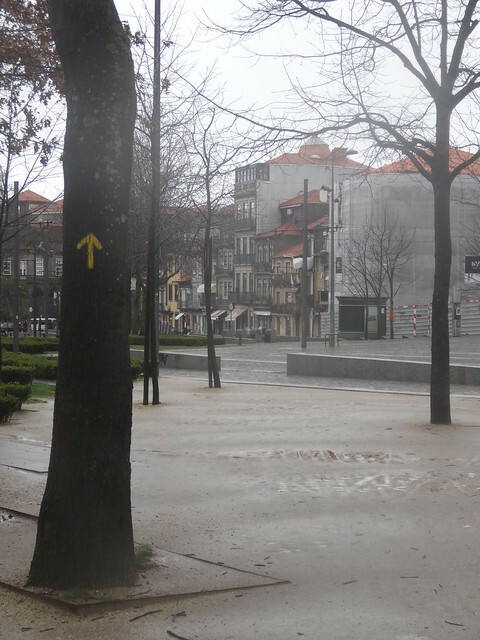 The Universe has an obnoxious sense of humor, because within sight of the hostel I noticed the ubiquitous yellow arrow of the Camino de Santiago, mocking me for my fatigue and reminding me of how only a few months before I was capable of running those steps with the greatest of ease. 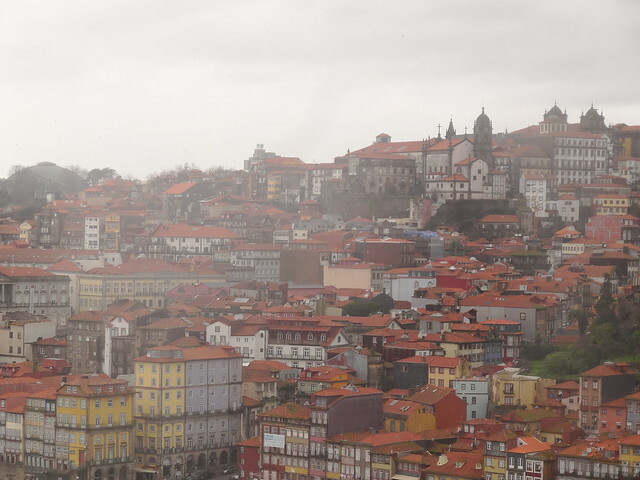 Since I leave Porto today for Vigo, at least I won’t have to worry about those dangerous Little French girls any more. 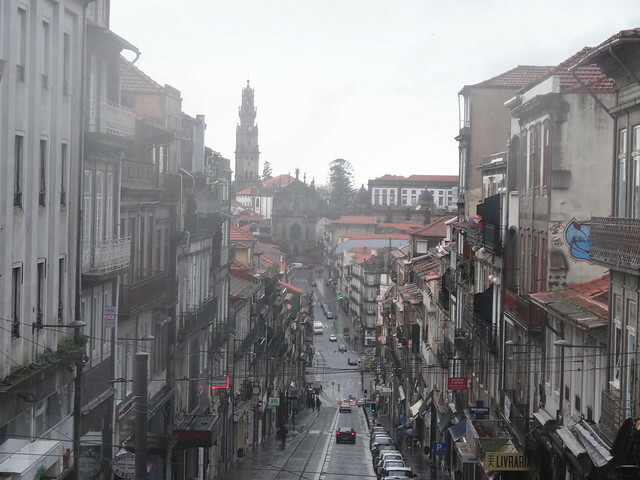 Posted in FoodTagged backpacking, nom nom, photography, Porto, Portugal, travel, writingBookmark the permalink. I’m glad your Francesinha didn’t leave you quite as disabled as mine did! 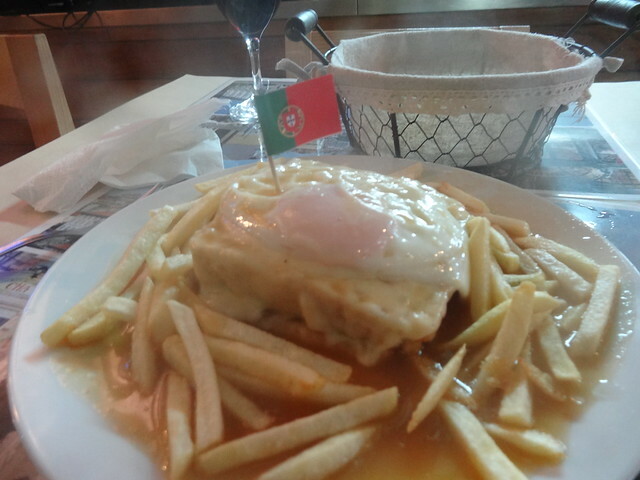 Ah yes, the ridiculously filling Francesinha. I remember her all too well. I split one with a friend, and we still couldn’t finish it! You are starting to be fickle, Nathan, entertaining women of all nationalities these days. You deserve to suffer! Serves you right for provoking jealousy in your friends stranded here in the USA. Ah, but I have many nationalities left on my list, thus I have more suffering to do! Woe is me. Woe is you? You’re really pushing it, mon ami. When I’m your age Dennis, no doubt I’ll be following the adventures of a young man romping around Europe and sigh to myself: “I was young once, and I sowed my wild oats.” 🙂 And when we meet in the Ardeche, I expect to hear some stories from you and PJ! The food was excellent! And cheap!